IDEAL, a newspaper based in Granada (Spain), was the first publication to sign an agreement with Global Savings Group to provide its readers with a new way to save money when buying online. The contract with Ideal was signed in October, 2013. Five years later, Global Savings Group now collaborates with more than 30 media houses around the globe. 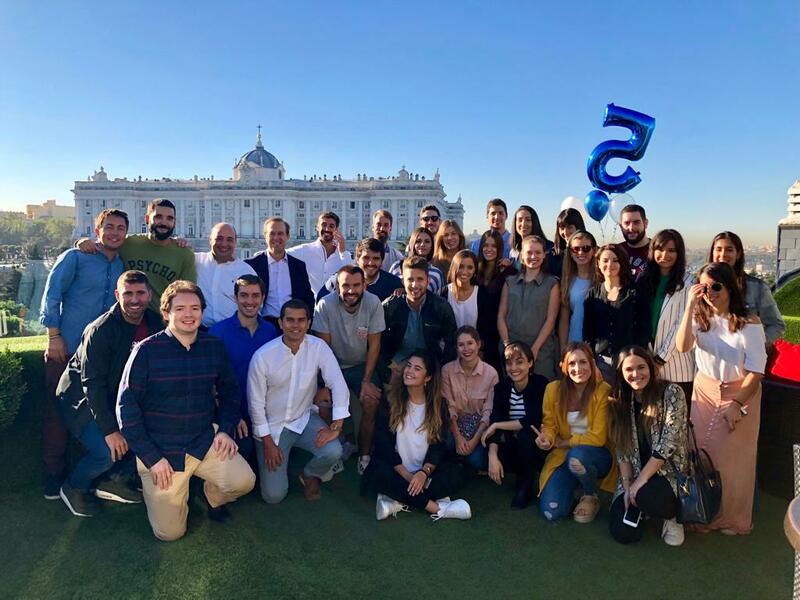 To commemorate the 5th anniversary milestone with Ideal, GSG’s Spanish team, which is based in Madrid, organized a celebratory breakfast. A metal plate was presented to Pablo Madina, the Marketing Director of IDEAL during the meal. Also in attendance was Corrado Rota, the Managing Director of Global Savings Group Spain, Italy and Mexico. He was on hand to recognize the hard work of both IDEAL and GSG team members throughout the lifetime of the relationship.